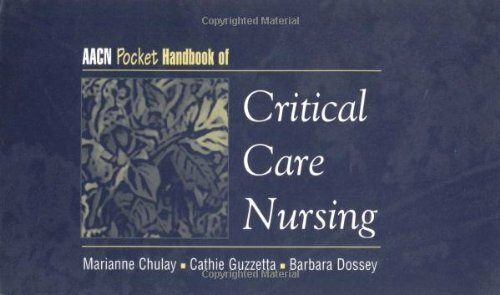 I was very disappointed with the pocket handbook for several reasons, the primary being that the ACLS guidelines were not the updated current ones. I also found the small print difficult to read and the use of only black print with no color coding made it hard to search though. "Current Emergency Diagnosis and Treatment" is an ideal reference text, which provides timely information for both inpatient and ambulatory monitors. This book is full of valuable advice on how to handle both trauma and non-trauma emergencies. It is versatile: with improved sections on paediatrics and cardiology. The ease with which one finds information in this book shows that its structure is truly emergency-channelled. 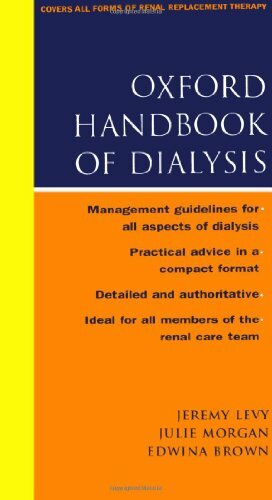 It is an important text whose timely information would benefit both doctors and patients. But, I must add that its handling of chemical pathology fell short of my expectation. 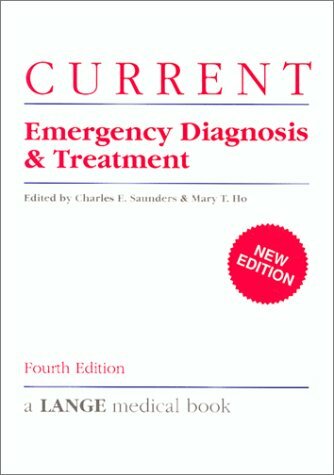 I've been buying each new edition of the Lange series Emergency Medicine texts since they started coming out, and even though I'm no longer in active practice, I'll certainly be purchasing the 5th edition as soon as it comes available in January 2003. 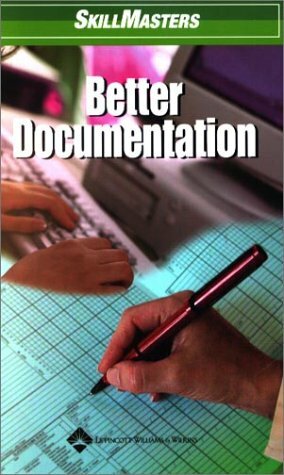 As a quick baseline reference and refresher oriented to the needs of the emergency medicine practitioner (and that includes NPs and PAs as well as us doctorly types), CEDT saves time and angst. 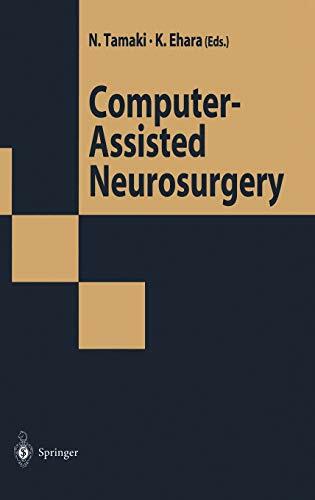 It's also readable, reasonably well-referenced, and cheap enough to keep in the department without fearing that some light-fingered student or resident is licking his chops over the thought of walking off with the damned thing. Having first seen this book in an emergency room where I was working, I thumbed through it and found it to be a good reminder of the many things to know. The book is well organized and easy to scan. In the few moments of down time, I enjoyed flipping through the pages and testing my knowledge. Regardless of your role in the medical community, this book is a good one to have around. While this one is the 4th Edition, I understand the 5th Edition will be coming on in January 2003. Best of luck and happy reading. 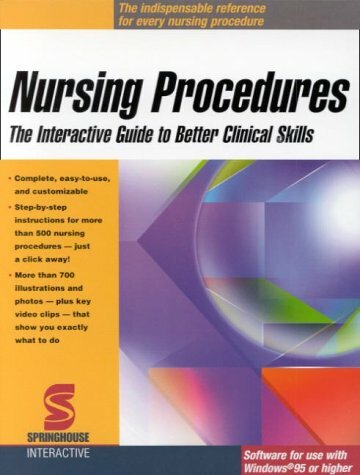 "An in-depth study for any nursing student..."
As a first year nursing student, my critical skills practice was at a self-study pace. With this book I was able to master the skills needed to give quality health care. 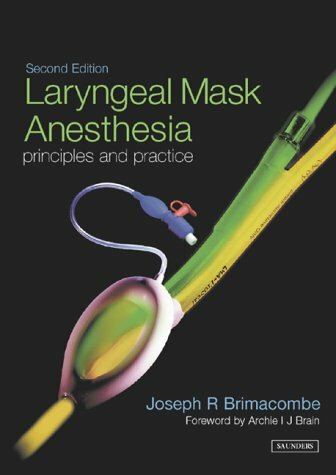 Excellent Book with Step-by-Step Explanations of procedures. This is an excellent book! 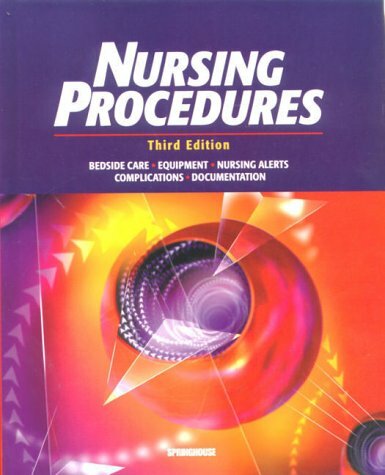 I may not have made it through my first year of nursing school without it! 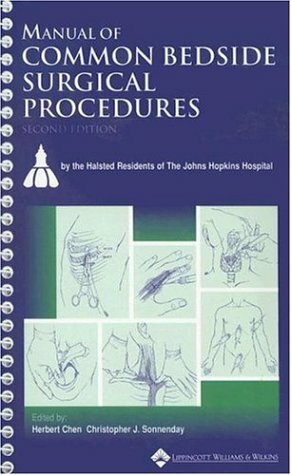 Each procedure is clearly explained using photos, diagrams, and checklists. Each procedure lists the equipment needed, implementation, special considerations and complications to look for as well as what to document after the procedure is completed. An accident cost professional photographer Max Aguilera-Hellweg the use of his right arm for a year. Forced to work with a tripod and the larger format of 4-by-5-inch film, he was providentially assigned to photograph a neurosurgeon as she worked. This ultimately gave birth to The Sacred Heart, a magnificent and utterly disturbing collection of photographs of the human body seen through invasive surgery. 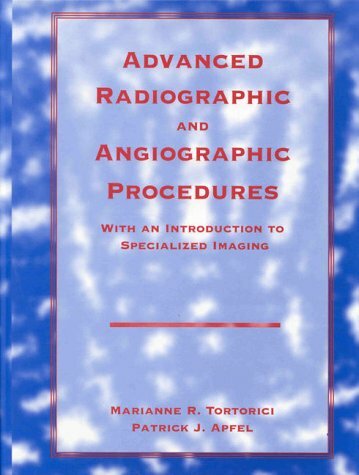 There is nothing like this collection either in the annals of medical photography or the arts. Almost 50 surgical procedures--a liver transplant, a mastectomy, the harvesting of organs after death, a cesarean birth, and others--cause us to look away and immediately look back. Surgeons' hands hover gracefully over gaping wounds, and lighting on gloves, instruments, and bare flesh is both theatrical and holy. This book is brave, and very well put-together. The work of photographer Max Aguilera-Hellweg, whose shots can also be seen in the yearly calendar issued by Philadelphia's Mutter Museum, is brilliant in its lighting and composition. The subject, as revealed in the subtitle, is invasive surgery. Those who say the book is exploitative since the photographs are disturbing, probably need a Hallmark Card version of truth, and reality. Invasive surgery invades the body. There are not photographs of Kate Moss, though it might be of Kate Moss later in life after the effects of her smoking finally rear their ugly head. But the photos in The Sacred Heart really come to terms with the ugliness and contradictory beauty of the human body in its most elemental stage. 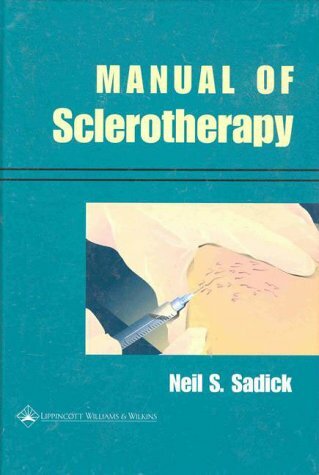 The introduction is by Richard Selzer, whose other extremely readable books achieve direct paths to the most curious and disturbing aspects of what is seen by the doctor of medicine. Astonishing photographs of surgeries with moving text. Imagine as a layperson being a witness to 100 major surgeries and you've entered the world of Max Aguilera-Hellweg's incredible book, "The Sacred Heart." 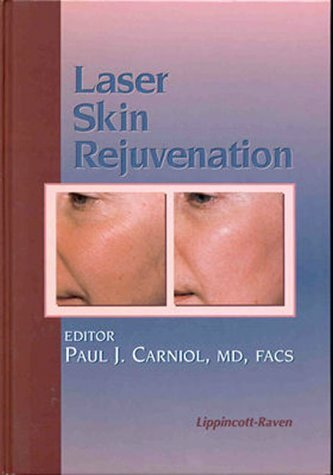 A review of this book of surgical photographs in the Los Angeles Times grabbed my attention. 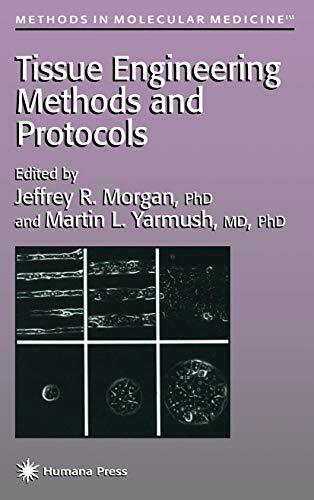 "...these images are so visually beautiful that you are drawn into them before you know what you're looking at . . .Most of us have some familiarity with medical photography, and though it's rarely pleasant, it generally has a clinical quality that allows us to distance ourselves from the events depicted. Aguilera-Hellweg upends that tradition as well; drawing a parallel between the invasiveness central to surgery and photography, he leaves the viewer no place to hide and pushes everything front and center." This is the only book I've ever experienced where you think twice about turning the page for fear of what you might see next. Check it out. This book covers the topic from an artist's point of view. It is elegant and haunting in its illustration and text. It has affected me profoundly and I'm sure will do the same for all readers. There is no doubt in my mind that An Atlas of the Human Heart was a labor of love on the part of Max. The photographs are at once the most reverent and irreverant portrayals of the human body that I have ever seen. I will never quite be able to think of my body the same way again. Max's work is ambitious, inspiring, and challenging. The book gives you a glimpse of a truly sacred place -- the inside of the human body. A Must for Surgical, IM, and EM Residents! 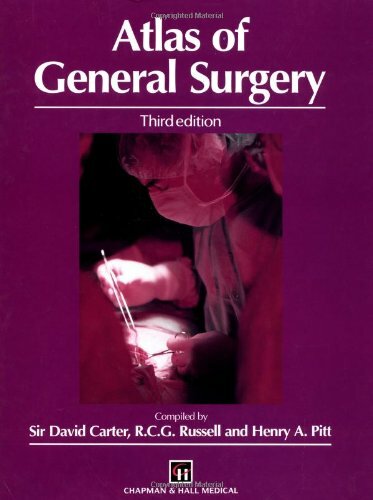 For a book that conspicuously describes itself as a "pocket sized manual", the Manual of Common Bedside Surgical Procedures is curiously large. Measuring 6 inches in width from spiral binding to cover edge, the manual is the exact same dimensions as the pockets of 3 of my lab coats (all by different manufacturers). Thus, it is impossible to put this book in the pocket of a size 38 lab coat. Nonetheless, it is the only major complaint this reviewer has about this book. Several of the procedures also have graphics to aid in the positioning of the device,incision site,or relevant anatomy. 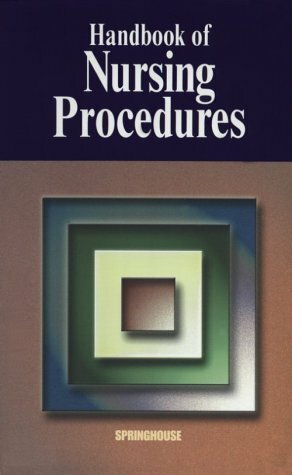 The book does provide a cautionary warning in the Preface that experience and knowledge cannot be replaced by simply following directions in a book. Despite this statement, I was suprised that some of more highly specialized procedures did not contain enough information about the difficulty or the suitability for a house officer. For example, when the vermillion border of the lip is disrupted, a 1 mm error in matching up the edges is visible to the naked eye. Because of this and the potential for scarring on the face, most surgical residents I know prefer to leave such procedures to Plastic Surgeons and/or their residents. It would perhaps be prudent for some of the more specialized and/or potentially troublesome procedures to include mention of the pitfalls and the possible need for consultation. The standard in emergency procedures for both children and adults is back...completely revised and updated in a new 4th Edition. I am an EMT working toward a degree in nursing or PA. I saw this book being used in the ER at UVA Medical Center and had to have it. It has been a great learning tool for me. 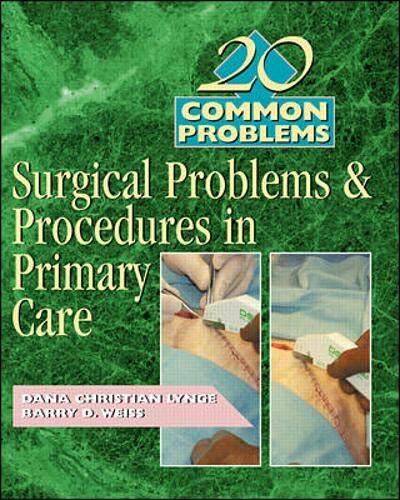 I would recomend anyone practicing emergency medicine to add this book to your library. A complete, but difficult reading exercise.